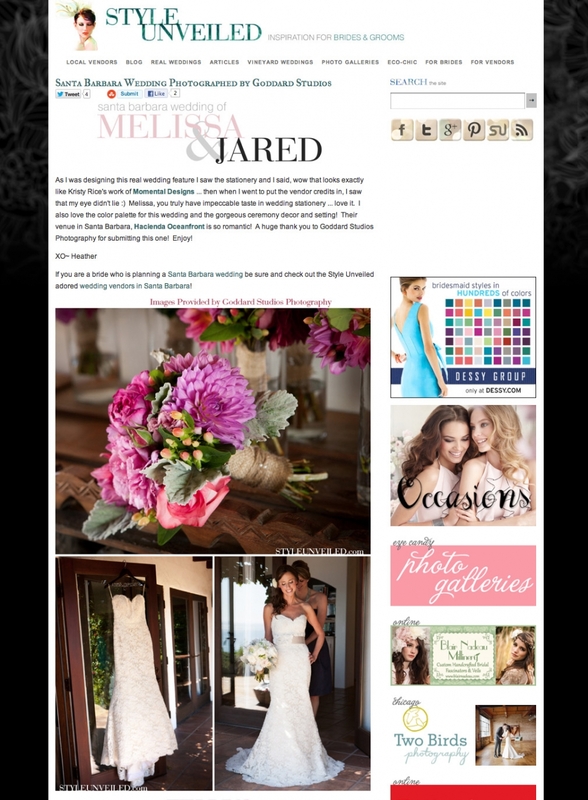 Collin and I are so excited that “Style Unveiled” decided to feature Jared and Melissa’s wedding!!!! 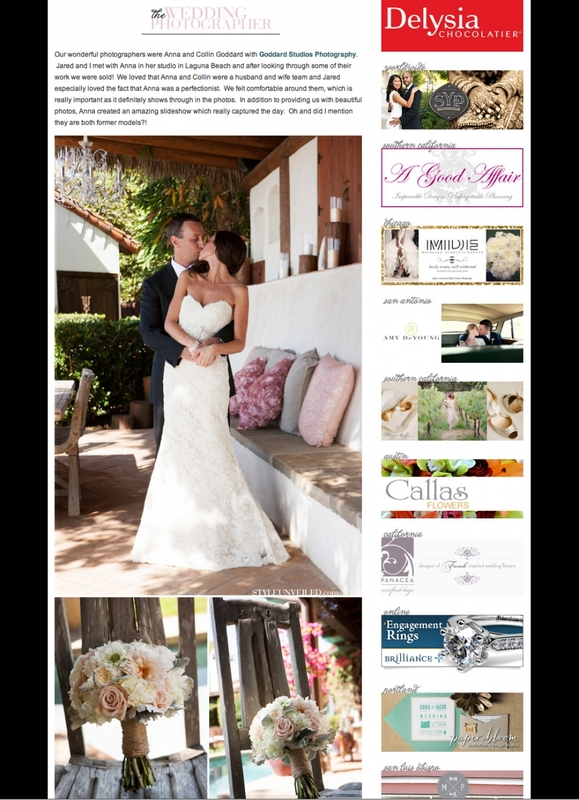 “Our wonderful photographers were Anna and Collin Goddard with Goddard Studios Photography. 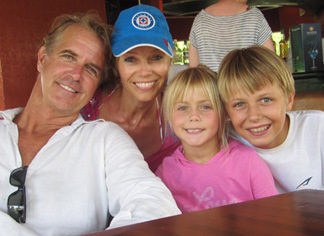 Jared and I met with Anna in her studio in Laguna Beach and after looking through some of their work we were sold! We loved that Anna and Collin were a husband and wife team and Jared especially loved the fact that Anna was a perfectionist. We felt comfortable around them, which is really important as it definitely shows through in the photos. 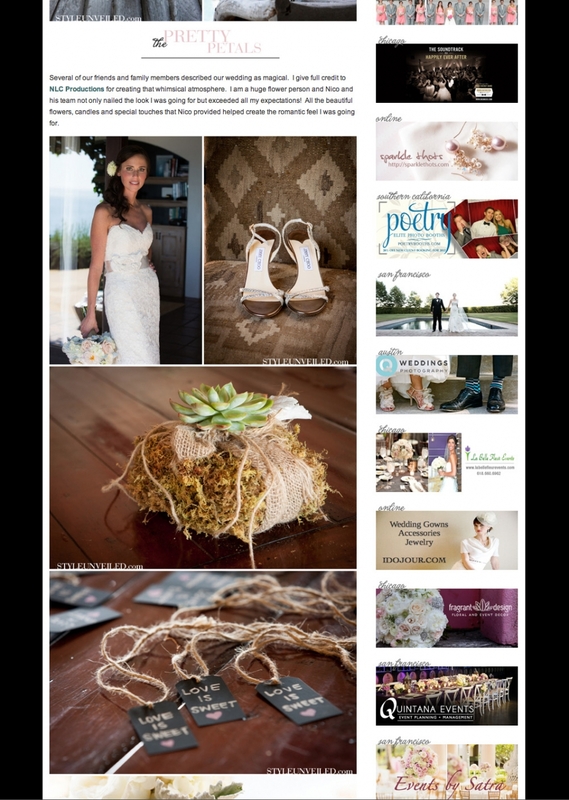 In addition to providing us with beautiful photos, Anna created an amazing slideshow which really captured the day”.